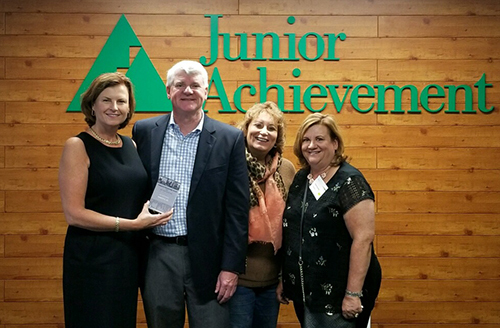 Primerica received an award at an appreciation breakfast held for corporate partners of Junior Achievement Discovery Center in Gwinnett County. 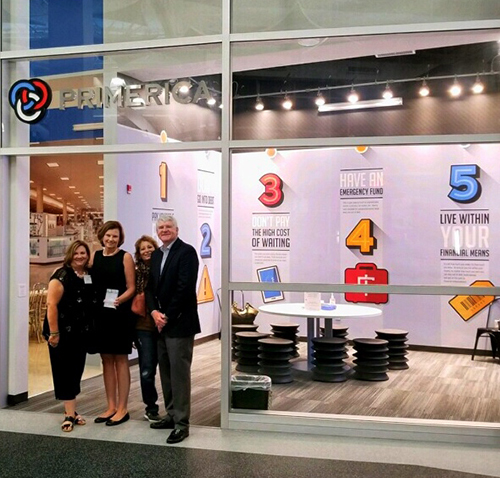 Primerica and The Primerica Foundation are long-time supporters of JA, supporting JA Finance Park in Gwinnett, 3DE at Norcross High School, the JA Atlanta Business Hall of Fame and the JA North Georgia Business Hall of Fame. “Primerica is not only a key partner in a number of initiatives in the Atlanta market – they are a GREAT friend to Junior Achievement Georgia,” said Jack Harris, CEO of Junior Achievement Georgia. In addition to breakfast, last week’s appreciation event included small breakout sessions to discuss best practices and new ideas for engaging volunteers at the JA Discovery Center. The event also included recognition of corporate volunteers. The JA Discovery Center in Gwinnett features JA Finance Park and JA BizTown. More than 170,000 middle school students have participated in JA Discovery Center, hosted by 11,000 community and business volunteers each year.